Tag Heuer pulled off a great PR campaign by constructing a floating tennis platform next to The Clifford Pier in Singapore over a ten day period. I have followed Sarah Pang since the day I discovered her facebook page "TenniswithSarah" somewhere early 2015. It is always easy to write when you have just WON and share the elation but to be able to write after you have been just defeated... it takes really a tonne of courage.. 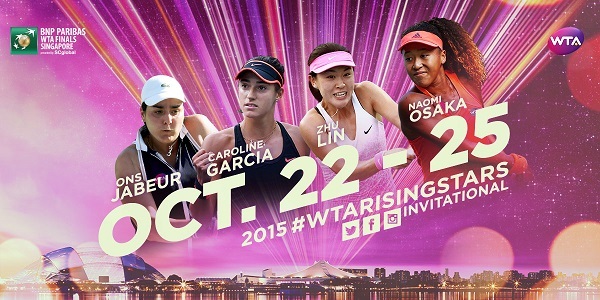 The WTA Rising Stars Invitational 2015 , will take place from October 22 – 25 at the OCBC Arena in Singapore Sportshub. This event is held annually in conjunction with the season ending WTA Finals 2015. This is the only 2nd time it is being held.